KRITON Electronics provides customized audiovisual and security video solutions for corporations, houses of worship, airports, restaurants, retail stores, luxury yachts, and custom residential homes. Our team of consultants, engineers, and technicians work collectively from the design and planning stage all the way to the installation and training phase. KRITON Electronics was founded and established by Kristofer Landeen, a 30-year AV & Security industry expert, after recognizing the need to provide clients with a high level of integrity, attentiveness, service, and support. KRITON Electronics provides custom Audio Video & Security design-build solutions for corporations, restaurants, retail stores, luxury yachts, and custom residential homes. Our team of consultants, engineers, and technicians work collectively from the design and planning stage all the way to the installation and training phase. KRITON Electronics prides itself on its long-term relationships with its clients. KRITON Electronics was founded and established by Kristofer Landeen, a 30-year AV & Security industry expert, after recognizing the need to provide clients with a high level of integrity, attentiveness, service, and support. The flagship’s design blends California style with Pomellato’s Italian craftsmanship, unconventional luxury and contemporary style within its 1,700-square-foot space. KRITON Electronics and Shawmut Design and Construction are the Audio & Video and General Contractor companies who have worked on the project. What’s The Best Way To Start, Execute and Successfully Complete a Project? During my career as a Project Manager, I have learned that each project is different, starting from the location, the city, the scope of work and the players involved. Since you can’t change the location or the scope of work of a project, you should focus your energies on creating the perfect team for each of your projects. I founded 4URSPACE for this reason, to help you accessing information about professionals in every geographic area. What’s the best way to start and successfully execute a project? Always choose the right players to work with. Take a look at these companies, they are leaders in the Retail and Hospitality industry. Excellent customer service and support are the qualities that brands are looking for when hiring an Audio & Video Vendor for their projects. Today we talk about KRITON Electronics Inc and we sit down with the CEO, Kristofer Landeen to learn more about the Company. KRITON Electronics Inc is a National Audio/Video Integration company providing Voice Data, Audio/Video, CCTV, Access Control, and Boardroom Automation for 25 years. We currently have 9 full-time employees and 4 part-time employees that handle our day to day operations. This is split into three offices, Beverly Hills, Chicago, and New York City. Our service network of over 100 technicians covers USA, Canada, and Latin America. KRITON Electronics Inc specializes in Luxury Retail, Hospitality (Restaurants, Hotels), and Custom Residential projects. We recently designed and installed an Audio System for the Bottega Veneta Flagship in New York City. The customer wanted a design element in which no speakers would be seen. This was difficult due to the fact that many different finishes were combined into the overall store design. We wound up using a combination of different invisible speaker technologies that attach to the backside of sheetrock or millwork. This enabled ceiling and wall installation. The end result was over 75 speakers and subwoofers across 5 floors and not one single speaker is visible. Sound envelopes you from floor to floor coming from all angles. Everyone was amazed at the sound quality and aesthetics. All the audio equipment was terminated in the basement nice and neat, with volume controls located per floor for ease of use. To continue exceeding our customer’s expectations, and stay happy and healthy. 4URSPACE is a Nexus that connects Retail Clients with Architects, Builders, Project Managers, Subcontractors, and Specialty Trades. When a client can see photos of our work along with referrals it’s very powerful. They can also see what Architects, Project Managers, and General Contractors were associated with these projects. This, in turn, allows them to get a feel for the kind of projects that we can do, and who we do it with, which helps to create sales opportunities. All the while it’s building our business network. That’s why I believe it’s such a valuable resource for anyone involved in the Retail Construction industry. 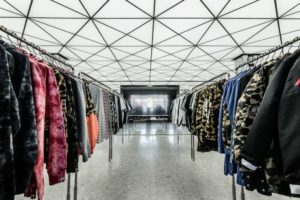 The international street label’s latest addition is a 2,500 square foot store on Melrose Avenue in Los Angeles. The flagship marks BAPE’s first territory on the west coast. The interior is designed with a formation of a triangular “X Barrisol” architectural ceiling. The shop spans two floors complete with granite marble walls. 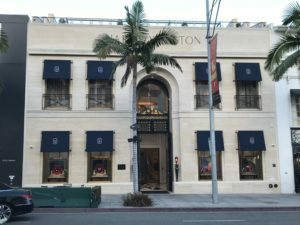 The House of Harry Winston, the legendary “King of Diamonds,” and international luxury brand reopened its West Coast flagship salon in Beverly Hills in December 2017. Located at 310 North Rodeo Drive, the impressive 7,022 square foot salon will house Harry Winston’s exquisite jewelry and timepiece collections, including the finest diamonds and rarest gemstones available today. KRITON Electronics provides custom Audio Video & Security design-build solutions for corporations, houses of worship, airports, restaurants, retail stores, luxury yachts, and custom residential homes. 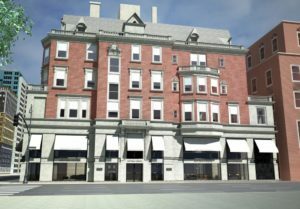 Shawmut Design and Construction is a construction management firm with a national reputation for building client relationships—and some of the most stunning projects you’ve ever seen. Bottega Veneta is having what is known as a major New York moment. 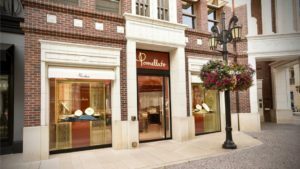 The thoroughly Italian heritage brand opened yesterday the new 15,000-square-foot flagship boutique on Madison. In celebration of the opening, Bottega Veneta is temporarily abandoning Milan to show their Fall/Winter 2018 collection during New York Fashion Week. 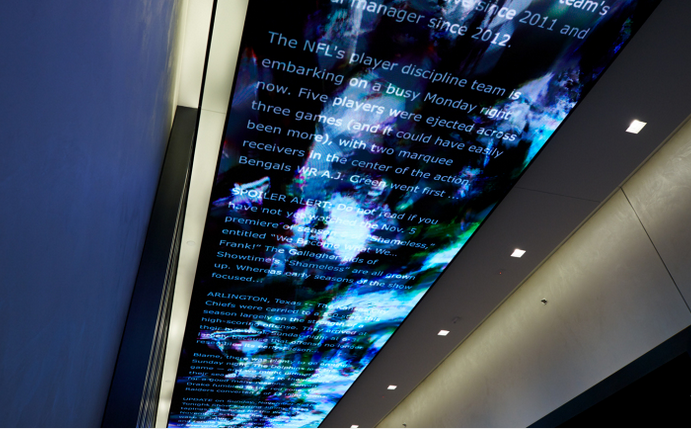 KRITON Electronics and Shawmut Design and Construction have worked with the brand on this amazing project.